I have a few pole idols, and they all have one thing in common (apart from being awesome), they're all really fluid dancers. Dancing with seamless transitions is one of my big goals and anyone who can pull it of is amazing in my books. One of these idols in particular is Alethea Austin, I love watching her dance, not just on the pole but her floor work as well. I find it completely mesmerising. Today Alethea uploaded a video to youtube that is what she does to warm up, it is, in my opinion, breathtaking. Free standing elbow stands, body rolls the works. No one rolls around on the floor like Alethea Austin! I've vowed to work harder on my floor work so that I stop doing the same thing over and over again, as well as my elbow stands. I've never really been to fussed about learning how to do it until watching Alethea's video! I'm feeling super motived and inspired right now so thank you Alethea!! 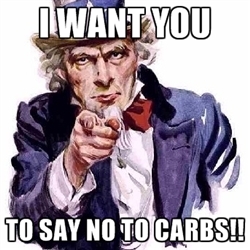 Kicking Carbs to the Curb! So pretty much as soon as I walked off stage after my routine at MPD I've done nothing but eat, and eat crap (well for about 2 weeks). For about the last week and a bit I've been eating better, with the odd slip up here and there (who can say no to birthday cake?). Lately though, I've been noticing how absolutely gross I feel, I know why, because it always happens after I eat something high in carbs, like bread or white rice, or sugar. Seriously I ate so much sugar on Sunday and I've never felt so sick so quickly. I've come to my own conclusion that while I love carbs, my body doesn't. So here starts project cut out the carbs! 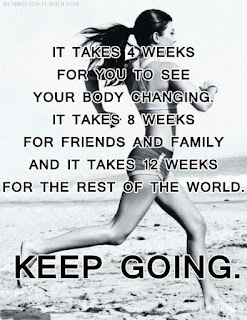 Not only so I can loose weight but so I can feel better too, I hate feeling gross, but most of all I hate feeling sick. The year is almost over (well we're three quarters of the way through it practically)!! It seems as though the year is just flying by!! On the 13th of October BadAzz will be at Bobbis for a workshop so if you want to learn some really cool tricks book into that one! It's $85 and goes from 3.30 til 5pm. I won't be able to make it... I'll be to busy getting ready for my date with Adam Levine the Maroon 5 Concert! Woohoo!! Miss Pole Dance Australia Finals!! Or as I like to call it Pole-mas! 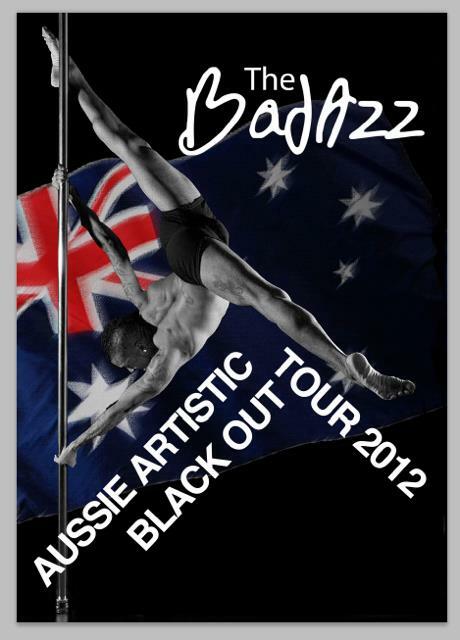 Where pole dancers all over Australia make their way to the Enmore Theatre to worship and give thanks for the creation of pole dancing! Before she left for Berlin to start her next big adventure Cleo was working on a couple of projects. One being recording with her band Leopard Nation and their first single, Hey Boy, was released yesterday on iTunes!! Do yourself a favour and go and buy it!! at $1.69 it's a bargain and it's a pretty awesome song so get to it!! One of the other projects she was working on is due to be released soon... I know what it is, and while I haven't seen the final product you should all be pretty damn excited!! 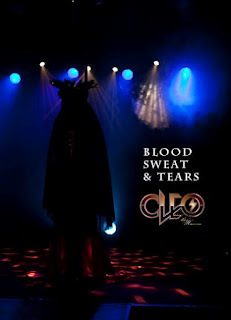 So keep a look out on Cleo's Facebook page!! To see the rest of the photos including all the other contestants click HERE!! Haven't been to see Glam Rock Burlesque?? Here's a teaser!! Glam Rock Burlesque is on at The Standard 11th September! get your tickets HERE !!!!! !